What Are the Benefits of Using Infrared Technology? The basic rule for any security system is that if there is no light, there is no picture. 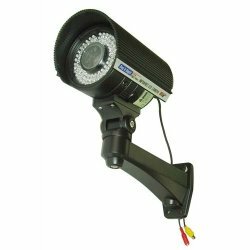 The important thing to understand is how infrared illumination can change the lighting conditions and provide you with the optimal viewing conditions in your modern security system. How Do I Manage My Bandwidth When Lighting Conditions Are Less Than Optimal? It doesn’t matter if you are using an analog or a digital camera because just about any CCTV camera will be able to capture very solid images when used in ample lighting conditions. However, the key is how your security system is going to be able to record in the evening hours that will determine just how effective the camera is going to be. Since the vast majority of crimes are going to take place in the evening, it is imperative that you are not left in a vulnerable situation. Your security system needs to be able to handle surveillance at any time of the day or night for an around-the-clock type of surveillance. Most of the newer cameras are going to be equipped with a lower lux rating that will give you the operation you need when lighting conditions are less than adequate. You may find that without special illumination for your cameras they are only going to be capable of capturing low quality and noisy images in the nighttime conditions. In order to improve upon the quality of the images you are going to want to make sure that you have the specified amount of illumination for the evening hours. This is where another one of the benefits for a CCTV comes into play. Whenever your lighting levels decrease, there is a small increase in the bit rate on your video stream from every one of your cameras that are connected to the network. If you do not take care of the bit rate, you are going to end up with a large increase for the amount of storage fees you are going to need for all of your video. Automatic gain control is a form of technology for your camera, which is going to increase your signal strength when there is inadequate lighting for your camera. It works by intensifying the images through amplification, which in turn causes an increase in the video signals and image noise. For example, if you take your normal security camera, you are going to receive good images that can be used during the daytime. However, in the evening your camera will kick into the automatic gain control to attempt to capture the images. As it gets darker, your camera will continue to increase the AGC and the images will only get that much more noisy and grainy. In the end your image will become almost useless because there is nothing there that can be seen through all of the snow. What is the Impact of Video Compression Algorithms? In order to understand why the bit rate increases, it is important to have a basic foundation of how the video algorithms work in the first place. The basic underlying principle is that you are going to need to eliminate anything that is not useful and make the file size that much smaller. Every form of compression is going to require some form of compromise between the size of the file and the quality of the image. The higher the compression ratio is the smaller the size of the files will be, but your images are also going to be a lot less clear. On the other hand, when you have a lower compression ratio, you are going to have a much higher quality image with a lot more space required to house the files. When the majority of cameras are installed, you can expect the frame rates and resolution settings to be tweaked for your specific needs. Even though there is a huge advantage to lowering your frame rate and resolution, there are also drawbacks to doing this type of thing as well. When you make the decision to sacrifice your resolution and frame rates you are also giving up your quality. You can expect to receive some of the choppiest surveillance footage out there and there may be times where you were unable to determine what was going on because you missed some of the more critical moments in the surveillance footage. In today’s world the most popular forms of video compression include: JPEG, MPEG and M-JPEG. However, the most recent type of technology used is the H.264 algorithm that will utilize around 30 percent less space than that of the MPEG4 technology. The MPEG4 technology itself is about 80 percent more efficient than that of M-JPEG. There are some basic principles that all of the forms of technology use that will allow them to have some similarities between them all, such as: irrelevancy reduction and redundancy reduction. Irrelevancy reduction will eliminate any portions of the video that may not be noticed by the human eye, such as any slight changes in color. Redundancy reduction will help to remove any duplicate content from the frames, such as stationary objects and large block areas. What Are the Relationships between Low Light Surveillance and Compression Rates? In the evening you have probably noticed that there is a lot less activity on the scenes and within the cameras view, which means that the evening video needs to be stored using a smaller bit rate. However, the amount of noise the image will encounter may be created by an increase in the gain from the camera and it can be interpreted as noisy by the encoders. In order to be exact, the compression algorithms are going to construe the noisy automatic gain control images as that of movement and end up creating redundancy in the files because the images will not be able to be reduced in size. You then end up with the nighttime videos being a lot larger than what they need to be and they are not as compressed. You can see how there is a direct relationship between the compression and the lighting conditions. What Effect Does Bit Rate Have On the Cost of a Surveillance System? Bit rate can be defined as the amount of data that can be transmitted every second on your camera or recording device. It is also the amount of data every second that needs to be retained and then stored on your device. The larger the amounts of bit rate you have available per channel, the higher the overall requirements are going to be for the system in general. It can be quite expensive to be able to increase the amount of storage space you have available on each channel and it is one of the main expenses for your complete security system. What Are the Benefits of Combining Your Infrared and Encoding? Instead of constantly adding extra storage onto your security system, you should consider the main cause of the problem lies within your bit rate that is being used in the evening hours. It may seem that the easiest solution would be to disable the automatic gain control function. Even though this will reduce the bit rate, it is going to be at the expense of your image details. When you make the decision to disable your automatic gain control you are going to end up with images that are so poor in quality they are almost pointless. 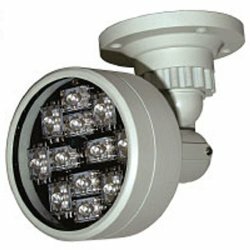 One of your best options is to install infrared lighting on the location where your camera is recording. When you use the infrared technology, you are going to notice that you are no longer going to need the high camera gain that you once did and your digital video recorders will work perfectly. When you are using infrared illumination you are basically allowing the cameras to receive the best resolution available to give you the perfect nighttime images with little to no noise involved. The lower the amount of video noise that you are dealing with, the better compression rates and storage rates you are going to need. What Can I Expect In Terms of Lighting and Picture Quality for My Security Camera? Even at your most basic levels, infrared technology is still going to produce light. This light is not visible to the human eye, but it is able to be used by surveillance cameras that are monochrome. It helps them to reveal the nighttime images that may not appear otherwise. They would be almost completely black images, but thanks to the infrared technology the camera is able to see the images in a whole new light. This goes right back to the beginning; where there is light, there is a picture. The infrared technology is going to prohibit the noisy images in the evening, as well as the whole chain reaction that goes with them. You will not have to worry about the extra expenses like before, or the additional storage needed to save everything from overnight. 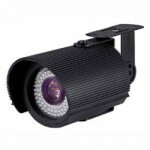 There are even some of the infrared illuminators that come equipped with the necessary technology to direct the light perfectly into the front and back of the viewing area to produce exceptional nighttime images. You will not have to worry about hotspots or overexposure like some of the other illuminators on the market may cause. The higher you are able to get for image quality, the lower the amount of storage requirements you are going to need, which in turn puts more money back in your pocket. How Do I Use Infrared to Help Reduce the Amount of Storage Space I Need? Even though infrared lighting has helped to improve the quality of images and it is used across the security industry, you may not have been aware of how it can be used as a bandwidth tool. Storage is one of the largest expenses that will accompany your security system and with the bonus features of infrared technology you can help reduce your storage needs dramatically when used with digital video applications.